The Tatung TS17R-M are engineered to become the benchmark for LCD touch screen displays. 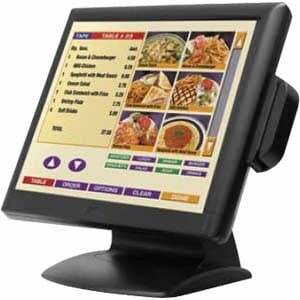 These monitors have a modern appearance with integrated features including a stable base (with tilt), cable management, dual (Serial/USB) touch screen controller, and an optional MSR. All of these features are offered at a extremely competitive price to increase return on investment for end users. Tatung is the ideal choice for point of sale, point of service, industrial and kiosk applications. The Tatung TS17R-M is also known as TS17R-M	or TS17RM	.